The Ebac PV200 is a standalone fan that can be used for 3 purposes, either extraction, supply of fresh or for cooling. The PV200 features a 200mm fan that has an airflow rate of 2040 m3/hr. 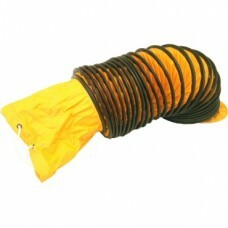 It can be used with or without 8" flexible ducting as illustrated. The Ebac PV250 is a single speed standalone fan that can be used for 3 purposes, either extraction, supply of fresh or for cooling. 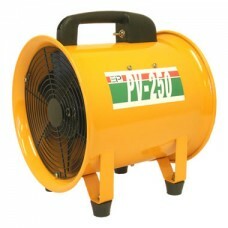 The PV250 features a 250mm fan that has an airflow rate of 3240 m3/hr. It can be used with or without 10" flexible ducting as illustrated. The Ebac PV300 is a standalone fan that can be used for 3 purposes, either extraction, supply of fresh or for cooling. 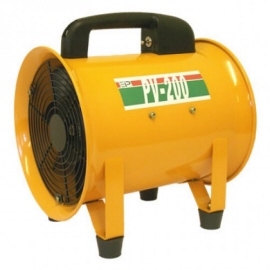 The PV300 features a 300mm fan that has an airflow rate of 4440 m3/hr. It can be used with or without 12" flexible ducting as illustrated.